Proton pump inhibitors are a class of drugs that suppress the acid secretion in the stomach by inhibiting proton pumps (which are the pumps that secrete hydrochloric acid). They are used to treat or prevent medical conditions related to increased acid secretion such as bleeding from peptic ulcers or in the esophagus, stomach or duodenum, heartburn or acid reflux. In the intensive care unit (ICU), proton pump inhibitors are commonly used in critically ill patients to prevent the development of, and bleeding from stress ulcers in the stomach and duodenum. 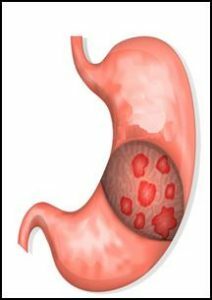 Stress ulcers are defects that develop in the mucosal lining of the stomach. They occur primarily in patients who are critically ill. These erosions or ulcerations can lead to minor, major, or clinically important bleeding, and rarely, perforation. Stress ulcers develop in approximately 1-3% of patients who are on the breathing machine during their stay in the ICU.